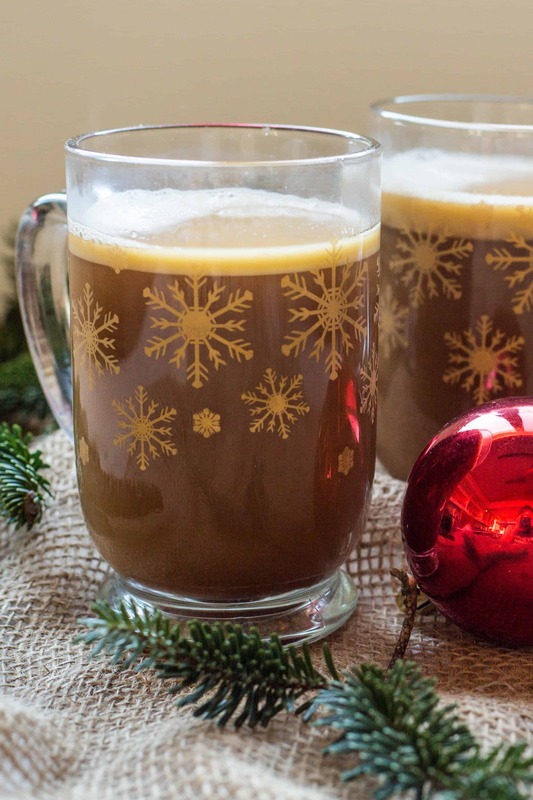 This Hot Buttered Rum is the classic winter cocktail recipe you need to have! It’s warm, sweet and totally decadent. Easy cocktail recipe! Apparently hot buttered rum has been a thing for quite a long time, but I’d never heard of it until last month when I spotted it on a brunch menu. Obviously, I ordered it, and was promptly transported straight to winter cocktail heaven. Butter? In a beverage?! Sign. Me. Up. Hot buttered rum – if it’s also new to you – is exactly what it sounds like. It’s a warm and cozy alcoholic beverage with real butter stirred right in. If you think that sounds heavy and kinda gross, think again. Although I can’t exactly drink more than one of these, it’s actually much lighter than it sounds. It’s almost like sipping on boozy, spiced, liquified toffee. If that description doesn’t make your mouth water, just go ahead and close this page and find another cocktail more suitable to your taste. Like this one, perhaps? You can come back here next week when I start up with all the healthy new year hubbub. This classic drink begins with plain old water. That’s right, just water. Hydration! If we were to use straight rum it would be waaay too intense. We’ll sweeten it up with dark brown sugar for an extra caramelly, molassesey punch. Next, we’ll add some spices. I use cinnamon, allspice, cloves and freshly grated nutmeg – but don’t go running to the store to buy them if you don’t have them all on hand. Use what you have in your spice cabinet (unless they’re old – then you should definitely consider replacing them) and adapt the recipe to suit your needs. This is all about easy drinking – we have an entire year ahead of us to complicate. Let’s keep things simple for the rest of 2016. Bring the mixture up to a boil, then turn off the heat. Next, we’ll add the rum. Dark spiced rum works nice, but a basic light rum will get the job done just fine. Add as much or as little as you like – it is still “the holidays” after all. And finally… drumroll please… the butter! You can certainly make this recipe with any old butter, but Finlandia butter will take it to the next level. This all natural imported European butter is made from the milk of (mostly) grass-fed cows, so it has a more pronounced buttery flavor that will make your hot buttered rum taste even more buttery delicious. Whisk the butter in slowly to let it emulsify into the drink. The last thing you want is to have a thick layer of fat floating on the top, but sometimes separation is inevitable. A generous pinch of salt will help to bring out all of those sweet, spicy, and buttery notes. Don’t skip it! Garnish with cinnamon sticks to add flavor and double as a stirring device. Sip. Savor. Stir. Sip again. Feel all the warm and cozy feels and soak in the last of the holiday vibes. Let this be our official reflection drink of 2016. 2016 has been a weird year, I think, for everybody in one way or another. And as usual, I have some final thoughts on it. But I’m not quite ready to share them yet. I’ll be back to my regular Tuesday post next week and will definitely have something cruciferous and cleansing to kick off what I’m sure is going to be our best year yet. Wishing everyone a safe, happy, healthy and buttery new year. I’ll catch ya on the flip side! Cheers. This post has been sponsored by Finlandia Butter and Cheese. All opinions are my own. Two Years Ago: What a Year It’s Been! In a medium saucepan, stir together the water, brown sugar, cinnamon, cloves, allspice, and nutmeg. Bring up to a boil, then turn off the heat and whisk in salted Finlandia butter until completely melted. Season with a generous pinch of salt, then stir in rum. Pour into two mugs and garnish with cinnamon sticks. Grate a little more nutmeg over top if desired and serve immediately. We always had hot buttered rums but I never heard of a hot toddy until my stepdad from New Jersey came along. I love them both! Boozy, spiced, liquified toffee.. aaahhhh. I traveled around Florida with a giant mason jar of coquitos in my cooler and tins of your mom’s oatmeal chocolate chip cookies over the holidays. 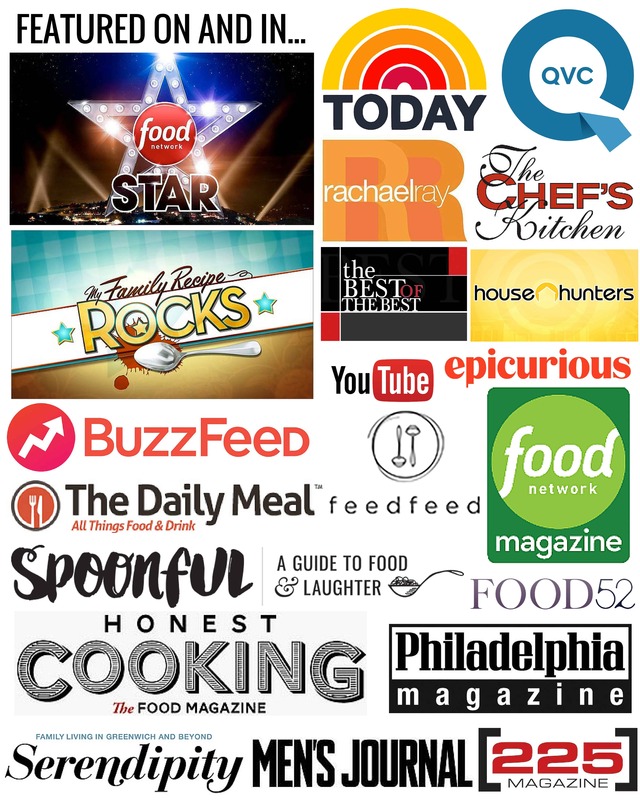 Cheers to you, Coley, for all the great food you share and the videos that leave me hungry and laughing! That’s so funny! Hot buttered rum was totally unheard of to all 10 people at our brunch table when we spotted it on the menu. Toddies, however, I’ve been hearing about since I was a kid. Drink them when you’re sick! I’m all about the warm boozy drinks, and would love one on this very snowy Saturday… but then… the cleanse. ???? May you have the happiest of New Years, Coley. I know that I’ve certainly enjoyed your blog and have made many (not all of the desserts I’ll admit) of the recipes many times. A couple of them are on the power rotation in my kitchen. And a couple of your dishes made my Christmas Brunch a huuuge success. This hot-buttered Rum drink, however, seemed a bit alien to an Italian-American kid from the heart of the South (South Philly and South Jersey, that is…). I just made a batch (only to sample it!) and it is beyond YUMMY. I will re-warm it tomorrow for our NYE celebration while we stand outside – freezing our asses off – watching the fireworks at the Trop from the front porch. Have a great time tomorrow and we’ll all look forward to another year with you. Ciao. Bruno! Happy belated New year to you, my Brigantine comrade. So glad you enjoyed the hot buttered rum. It was pretty alien to Chaser and myself when we spotted it on a brunch menu in Philly last month, but one sip and we were HOOKED! Glad to have you as a part of my community. Cheers! Oooh, yum. 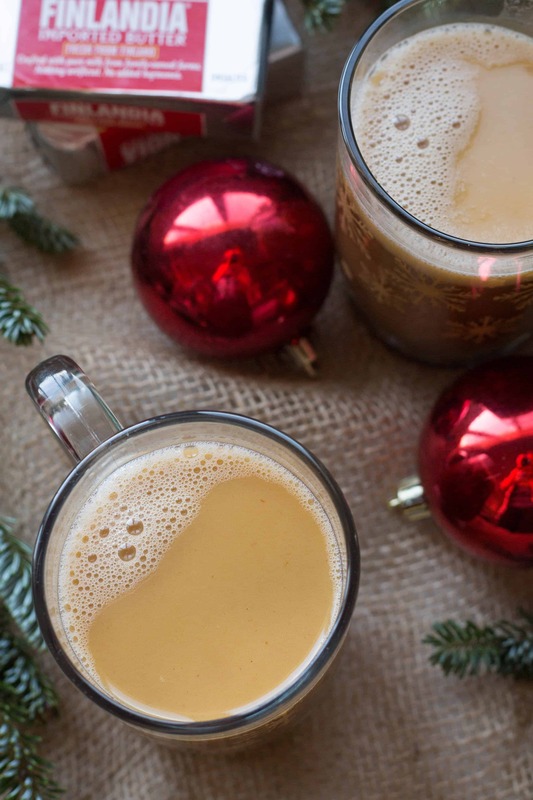 Hot buttered rum is such a great winter drink! I’m not surprised you had to try it as soon as you heard of it. And I love all the great spices you added to the mix. Use this muffin recipe to bring the favorite seasonal taste of hot buttered rum in quick-bread form, using rum, cloves, and nutmeg. Colonial Hot Buttered Rum Recipe – This is the real thing – an authentic Colonial recipe except you use a slow cooker to simmer it. You will swear you are drinking a cinnamon roll, and then it hits you! Mmm.. So good for a snowy day like today!